COCOLAMUS – Wednesday night was a great night to be an Indian. Just ask senior softball standout Kristen Prey. In her first at bat, Juniata lead-off hitter Prey needed just one hit to join the 100 hit club for her career. 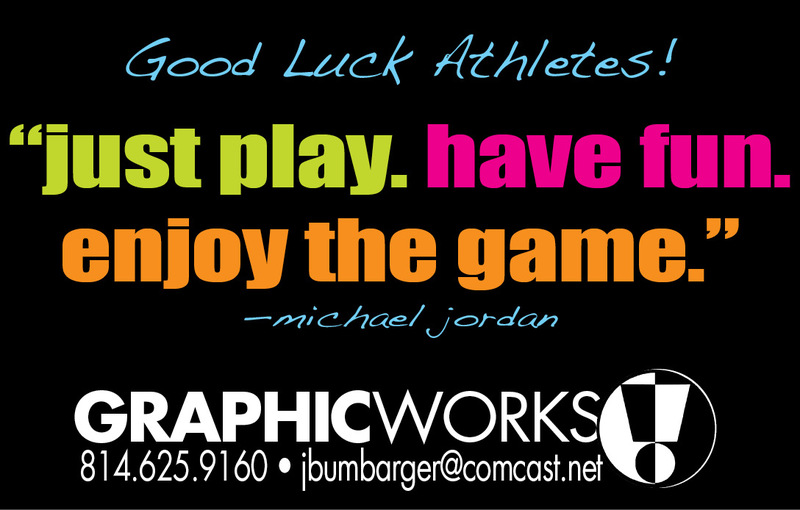 She stepped to the plate and blistered the first pitch see saw and sent it deep into the left centerfield gap. With no fence, ball kept rolling and in a puff of smoke Prey rolled in home with an inside-the-park homerun. With the fete, the game was stopped momentarily and the game ball was given to the standout hitter. 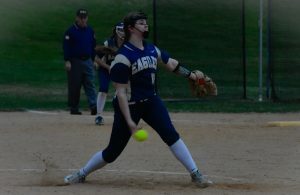 However, Prey’s hit would be just one of 16 Juniata hits as it outscored rival East Juniata 19-1 in a game-shorten three inning contest at East Juniata High school. Picking up the win for the Indians was Autumn Young while Cassandra picked up the loss for the Tigers. Young allowed only three hits and one run in the game. 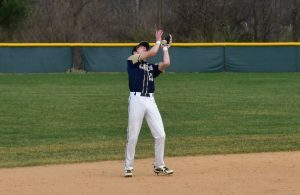 Juniata’s offense hits came early and often as the Indians had six players finish with multiple hits. They were; Victoria Cisney (3-for-3), Micheh Horning (3-for-3), Summer Swab (2-for-3), Megan Shoop (2-for-3), Samantha Saner (2-for-3) and Hannah Welfley (3-for-3). In the first, Prey got the game going full tilt with her inside-the-park homerun. Cisney kept the hits coming, roping a single into left field. Micheh Horning was smooth swinging from the third spot, posting a liner into right field. With one out, Megan Shoop also went into right, scoring Cisney and Horning and in the process landed on second with a 2RBI double, making it 3-0. Saner made the most of a Tiger miscue, reaching base on a miss by East Juniata’s firstbaseman. Facing two outs and two runners on base, Mady Marrone was cool under pressure tripling home Saner and Shoop with a gapper to leftfield. When she stopped, Marrone had a triple. Hannah Welfley made Marrone’s time on base a short one, poking a single into right, increasing the Juniata lead to 6-0. After a walk to Prey, Cisney with a simple single loading the bases. Horning’s second single of the inning brought home Welfley. Summer Swab took one for the team and was hit by a wild pitch, loading the bases once again. Shoop and Saner hit consecutive singles, bringing in Prey, Cisney, Horning and Swab and later Shoop herself, ending the inning holding a 12-0 advantage. 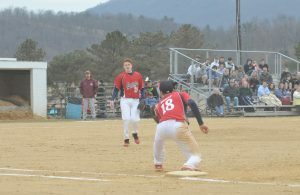 Juniata’s defense held in the bottom of the first while their offense got reenergized in the second, plating five more runs. In the bottom of the second, East Juniata picked up its only run on a Lydia Hunter RBI single. However, the Indians scored two in the third and held on tight in the bottom of the inning to go on to the victory, upping its record to 6-5 on the season.